Adobe Premiere CC 2019 is probably the best video editor for editing VR180 and 360 videos. However, I found out that as of March 2019, there are bugs that could lead to disastrous results. At first, I thought the processing was just delayed. But after a while, it became clear that YouTube would never show it at its full resolution. Because of the lower resolution, a lot of people hit the dislike button. After all, in the video I stated it was 5.7K and it was not. It was an embarrassment. I tried reuploading several times, changing bitrates, etc. Each time it would be limited to 1440p. I suspected there was an issue with the metadata. I tried running the Premiere-edited files through the Google VR180 metadata injector tool and uploaded it. This time, YouTube recognized the file correctly as 5.7K / 2880p. To be fair, other people have been able to upload VR180 at full 5.7K resolution from Premiere, using the exact same workflow. And I assume Adobe will issue an update that will fix this problem. 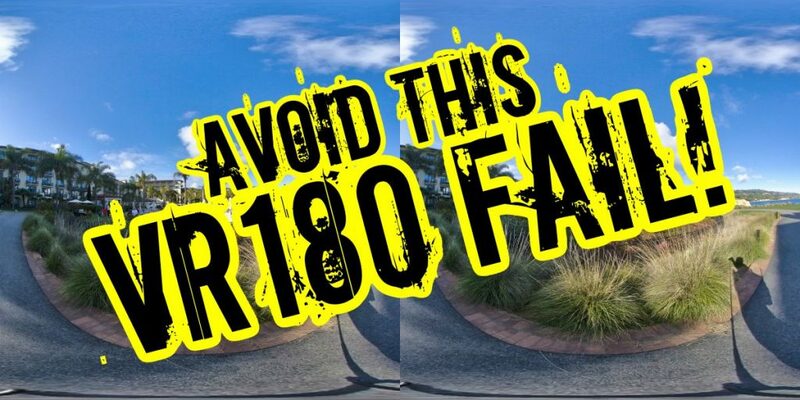 For now, it is safer to run the video through the Google VR180 tool before uploading to YouTube. Muchas gracias Ruben! I really appreciate it! Pls let me know if you have any questions!